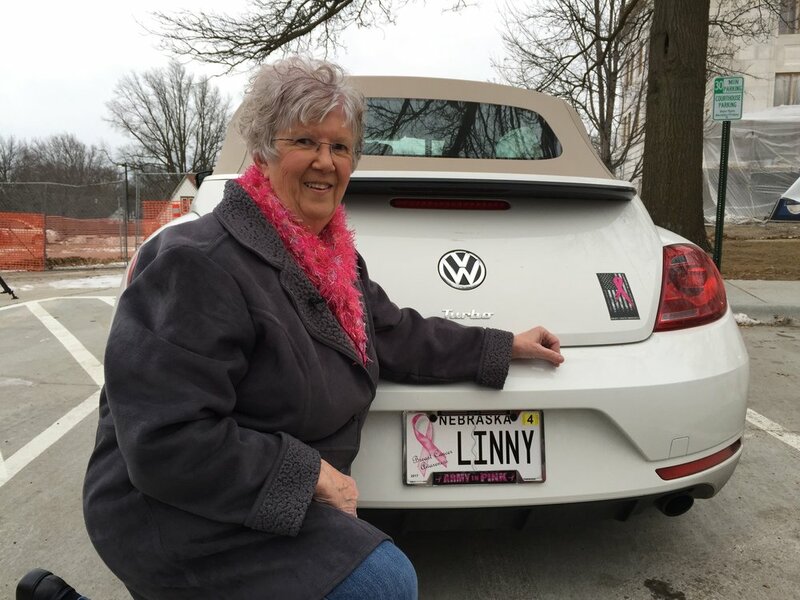 The pink-themed Nebraska license plates hold a special meaning for Friend resident Linda Gill. Gill was diagnosed with breast cancer 14 years ago. Since then, she has been on a journey of hope. “I attend lots of breast cancer events and have a huge collection of pink items. Lots of things have been given to me from family and friends [and some] things I have gotten for myself,” Gill said.